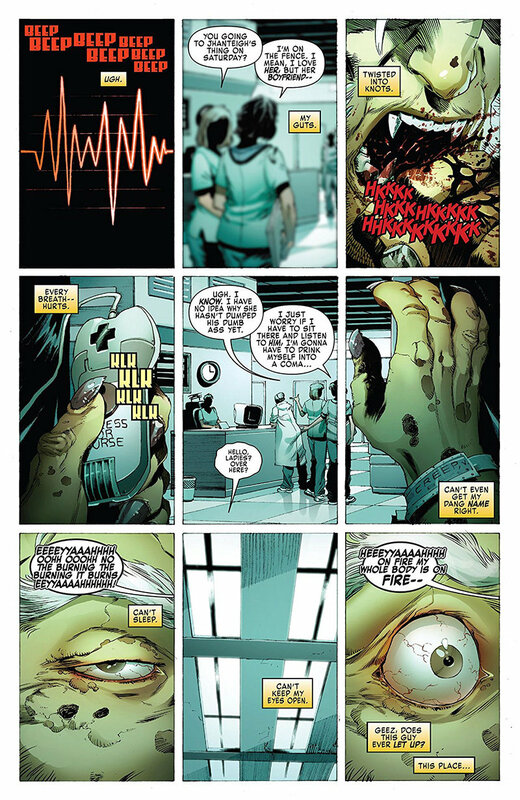 Greg Pak and Fred Van Lente tap into hellish themes, but not enough to affect hardened souls. Superhero comics tend to play fast and loose with the concept of Hell. To some extent, that's necessary for worlds where gods, angels, devils, and beings with god-like power are so common. Add recurring themes like the dead routinely coming back to life into the mix, and the very idea of an afterlife almost seems mundane. Even with those complications, it's still possible to use the concept in a way that doesn't rely heavily on fire and brimstone. 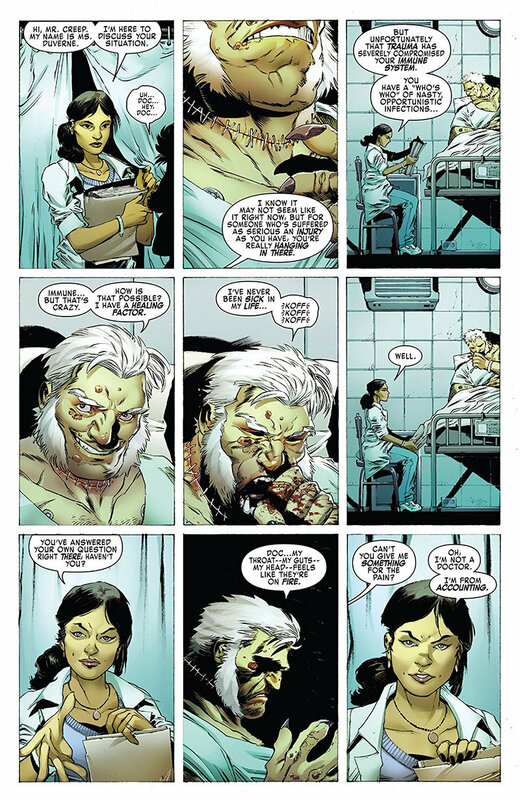 Greg Pak and Fred Van Lente present a uniquely balanced approach to the concept of Hell in Marvel's Weapon X #26. It doesn't attempt to deconstruct or satirize anyone's theology. It's still a plot device, but one that furthers the story while also making a relevant point about Hell in comics storytelling. Given the cast of Weapon X, complete with hardened villains, experienced assassins, and self-professed anti-heroes, Hell-like themes feel remarkably appropriate. The team can't avoid it, but not because of their personal sins. They have to traverse Hell because that's how Reverend William Stryker gained his menacing persona. He hates mutants so much and is so devoted to his crusade that he's willing to make a deal with the devil to achieve it. That kind of irony is as fitting as it is disturbing. Getting to Stryker, however, involves the characters experiencing their own versions of Hell. Sabretooth, as both leader of the team and someone with an obscenely long list of sins, sets a high bar for torment. Hell, for him, is a world where all the lives he's taken and the suffering he's imparted comes back to haunt him. Pak and Van Lente single out his role in the Mutant Massacre as an especially egregious sin, but one that's only part of lengthy list of transgressions. Sabretooth doesn't just have to face those he's hurt. He has to do so while weak, sickly, and at the mercy of everyone around him. He's no longer the ferocious animal that strikes fear into his enemies. He's in the best possible position to be tormented, which quickly becomes a common theme as the story progresses. Hell, by default, involves torture. However, everyone's worst torment is different. For Domino, torture is having to listen to Deadpool's jokes for all eternity. For Deadpool, it's being in a place where nobody laughs or gets his jokes for all eternity. It's a targeted, custom-made form of torment. Devils and demons only ever play a passive role. The damned do most of the work for them, creating for themselves their worst vision of Hell. The concept pushes and strains the characters in ways that are both insightful and (perhaps a bit sadistically) entertaining. It helps that the notion of people condemning themselves to eternal torment are aspects of mainstream religious thought. However, that only goes so far and Weapon X #26 does little to explore any larger Hellish themes. It doesn't tap into the more colorful imagery of the Jack Kirby era of Marvel, nor does it introduce anything new. Sabretooth and his team undergo plenty of torment, but the circumstances are so fluid that it's not clear how real their Hellish journey is by the end. There are opportunities for this plot to have lasting impacts on characters like Sabretooth, but most of those opportunities go unrealized in this comic. The goal remains the same. Sabretooth and his team need to stop Stryker. Navigating the torture they must endure is just part of that mission. Even though many characters in the Marvel universe are oddly dismissive about the existence of a literal Hell, Weapon X #26 is a bit overly casual with the overall concept. However, it does in one important way that helps give depth to the story. It adds yet another layer to the breadth of William Stryker's hatred of mutants. While there has always been plenty of casual bigotry and blind hatred in X-men comics, Stryker really sets himself apart by showing just how much it affects him. His blind rage it so intense that he can never enjoy anything so long as mutants exist. That kind of sentiment helps put Stryker's actions in previous issues into a greater context. Beyond just showing his dedication, it gives new meaning to the extent of his crusade against mutants. This isn't just someone who rants endlessly about the potential danger of mutation. Just living in a world of mutants is torture to him. 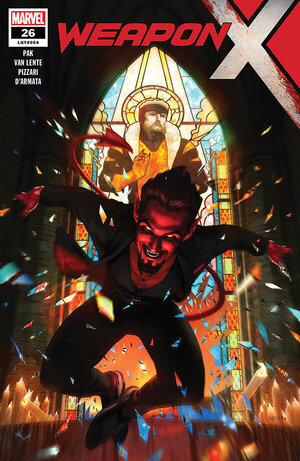 Even the devil admits that Stryker's obsession makes his job much easier. 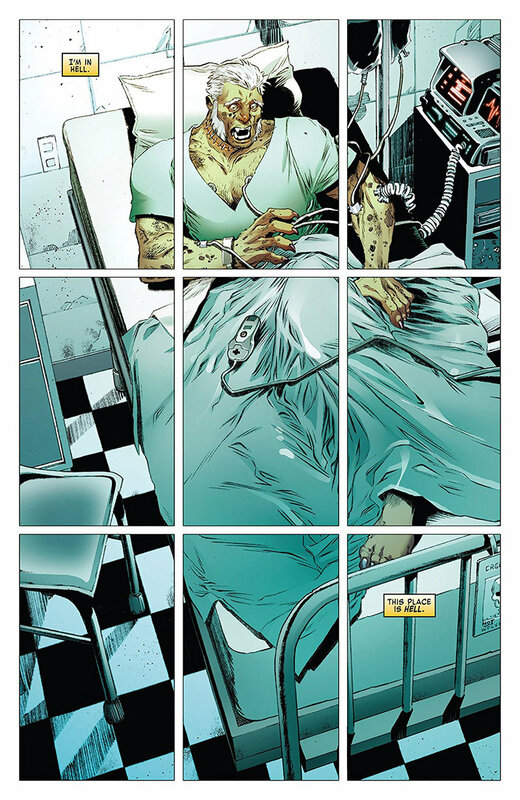 Weapon X #26 handles Hellish themes in superhero comics with tact and care. Beyond the insights into Stryker's hatred, though, it doesn't achieve much else. Luca Pizzari's artwork is solid, but lacks the spectacle of other hell-bound adventures. It puts Sabretooth in a position to confront Stryker, but not much beyond that. The notion of Hell is one of the most distressing ideas that humanity has ever conjured. Even when villains go to Hell, it creates opportunities for lasting effects that further an existing mythos. There's little chance that someone like Sabretooth can ever be redeemed, but if a trip to Hell doesn't inspire some change in his character, then how will anything?